Battery-powered mini PA system is worn like a belt: hands-free and comfortable for user. Perfect for a teacher, trainer or presenter who has a weakened voice, or needs a moderate improvement in sound coverage and voice clarity. Can be used outdoors as well as indoors. Battery-powered mini PA system is worn like a belt: hands-free and comfortable for user. 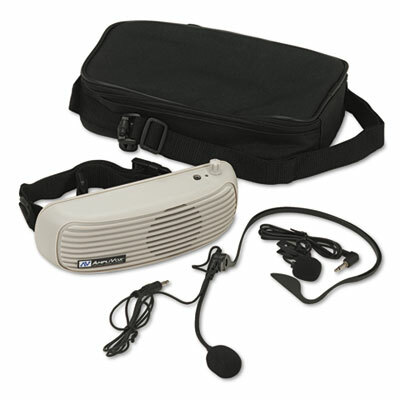 Perfect for a teacher, trainer or presenter who has a weakened voice, or needs a moderate improvement in sound coverage and voice clarity. Can be used outdoors as well as indoors.